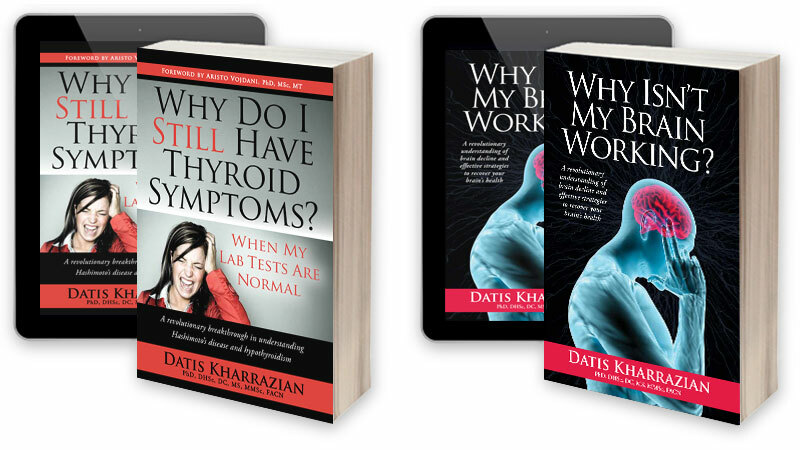 There is not one easy fix to successfully managing Hashimoto’s hypothyroidism, an autoimmune thyroid disease. As many people have learned the hard way, using thyroid hormones to get TSH within lab ranges certainly doesn’t guarantee a fix for most people, although it can help. 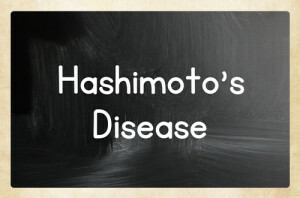 Hashimoto’s is a multifaceted autoimmune condition that involves many mechanisms. To truly manage your autoimmune Hashimoto’s hypothyroidism, it’s important to understand the factors that contribute to it. Emotional stress activates pathways involving the inflammatory immune messengers IL-6 and TH-17. This activity creates an autoimmune flare-up. Unhealthy relationships with your spouse, co-workers, or friends can promote autoimmune flare-ups, as can a bad work environment, or other significant and chronic lifestyle stressors. If you have Hashimoto’s you need to create a healthy emotional environment for yourself. Bad personal relationships or poor work environments can be detrimental to Hashimoto’s hypothyroidism patients. You are either 100 percent gluten-free or you’re not gluten-free. Choosing to eat gluten-free only when it is convenient is not a gluten-free diet. If you are not strict about your food being 100 percent gluten-free when you eat out and you continue to consume condiments that have gluten, regular beer, and foods fried in fryers that use the same oil for breaded foods, then you are still being exposed to gluten. Gluten is a major trigger for most Hashimoto’s hypothyroidism patients and many cannot improve until they are 100 percent gluten-free. The passive patient does not question or challenge her doctor. If you are a passive Hashimoto’s patient and you do not take your health into your own hands you may not fare as well as the person who educates herself. The conventional model is based only on lowering your TSH with whatever thyroid medication your insurance plan or doctor prefers. Once TSH is within lab ranges, this model has nothing more to offer except to check your TSH once a year. It takes time and effort, but the thyroid patient who wants to feel better needs to roll up her sleeves and master the various mechanisms of Hashimoto’s. The more you understand Hashimoto’s the more likely you are successfully manage your health. Thyroid hormones are important for the health of hair follicles and many thyroid patients struggle with thinning hair and hair loss. Although many thyroid patients resolve their hair loss issues with thyroid hormone medication, many others don’t. 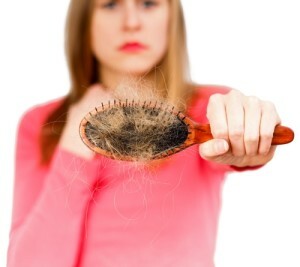 It’s important to understand factors beyond thyroid medication that affect hair loss. First, the autoimmune response impairs how thyroid hormones act on cellular receptors, including the cells in hair follicles. When inflammation is high, inflammatory immune cells called cytokines can interfere with the action of thyroid hormones on these cellular receptors. This is one reason why, in addition to making sure your thyroid hormone levels are sufficient, it’s important you manage inflammation. Many times hair loss will not resolve until the patient learns how to manage their autoimmunity. However, the most common reason female Hashimoto’s patients suffer from hair loss is due to elevated testosterone. Symptoms of elevated testosterone include thinning hair, hair loss, an inability to lose weight, and in more extreme cases, excess facial hair. For most women, high insulin levels brought on by an unhealthy diet and lifestyle cause excess testosterone. This is because insulin stimulates an enzyme in the ovaries called 17,20 lyase, which promotes the synthesis of testosterone. This increased testosterone then leads to thinning hair and hair loss. Factors that promote insulin surges and hence elevated testosterone are a diet high in starches, refined carbohydrates, and sugars, and a sedentary lifestyle. Another common cause of continued hair loss in Hashimoto’s patients is poor circulation. The hair follicles need a constant supply of nutrient-rich blood. If circulation to the scalp is compromised, hair loss is inevitable. Clinically, the signs that signify poor circulation include cold hands, cold feet, cold tip of your nose, and poor nail health (nails also require good circulation to be healthy). Thinning hair is not the only consequence—poor circulation can have devastating impacts on your brain health. I discuss this concept in detail and offer strategies in my new brain book, Why Isn’t My Brain Working? 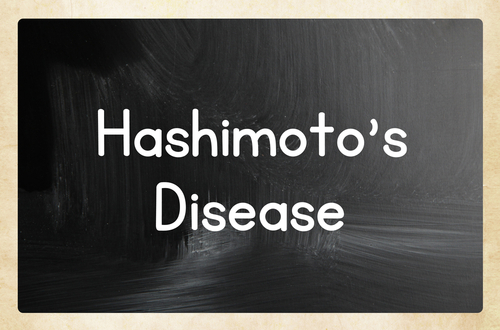 A recently published case study showed that neurological symptoms can occur in Hashimoto’s patients. SPECT brain scan imaging showed reduced brain activity (hypoperfusion) both in patches and throughout the entire brain. The brain scan images completely changed after subjects were given corticosteroids to suppress the autoimmunity, showing improvements in many areas. However, patchy areas of impairment persisted despite autoimmune suppression. This study illustrated two key concepts. First, Hashimoto’s impairs brain function and dampening autoimmunity can improve function. Second, areas of continued brain degeneration persist despite treatment that dampens autoimmunity. I cannot stress enough how important it is to improve your brain health when you have Hashimoto’s. This is exactly why I wrote my second book on brain health—it is so critical for my Hashimoto’s readers. 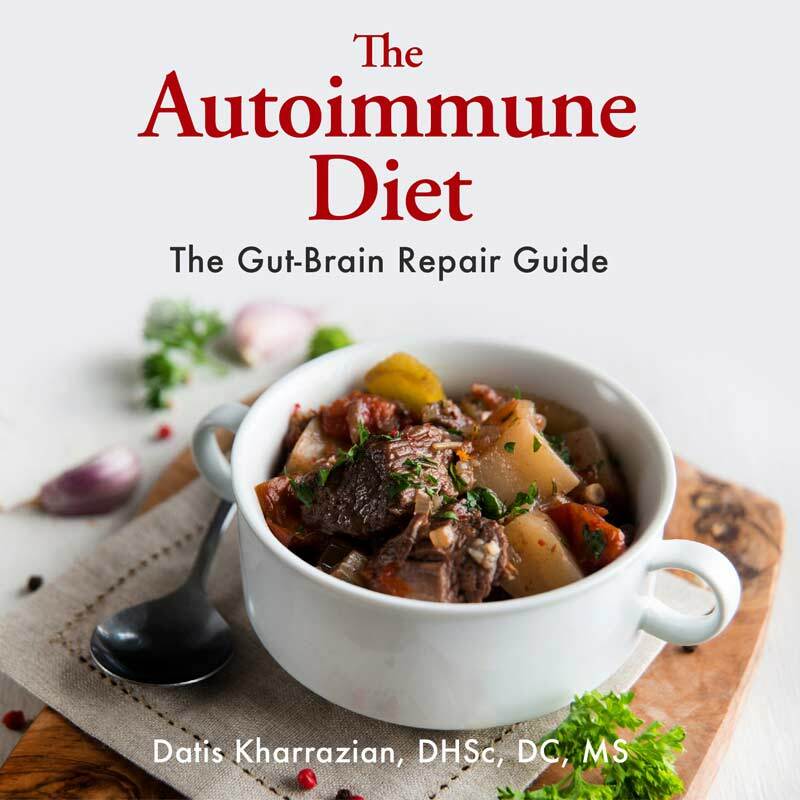 In in my practice I have found the most important second step Hashimoto’s patients must take after reducing their autoimmune expression is to optimize their brain function. I wanted a little clarification on the recent study. The patient had Hashimoto’s which is typically an autoimmune illness that produces hypothyroidism. Was the patient in the study exposed to gluten or high sugar diet that caused him/her to become hyperthyroid? Was the only treatment the corticosteroid? Hormonal issues often cause it in women. Sure your testosterone is not too high? Poor blood flow is sometimes a factor. I know this thread is old but it could still be helpful for others to read. If you are having hair loss it can also be due to low iron levels, mainly Ferritin. You should get all 4 iron levels tested as well. Ferritin needs to be at optimal levels for hair growth. In the article Indian J Nucl Med. 2013 Apr-Jun; 28(2): 102â��104. it states that after steroid tx was started they added an antithyroid drug, my assumption is a drug in the class of PTU. I’ve had terrible hair loss and I’m finding out it was from the estrogen cream I was using. My estrogen got way too high. I was on the Wiley Protocol, and it sure messed me up. To the best of my knowledge, beer is generally not recommended to those avoiding gluten due to coeliac disease, and or Hashimoto’s. There is a risk that if the brew is made from barley and rye there will be detectable gluten and could cause an autoimmune response. For more information, go to celiaccentral.org or look up your local Coeliac Association (autoimmune disease treated by strict avoidance of gluten). How does the diet not put a person into ketosis if it’s just basically meats, vegetables and fats? How do you stop losing weight on this diet? Not sure I understand how it works. Um..are you saying everyone who has hashimotos autoimmune has hashimotos encephalopathy??? The article you link says it’s rare. No but improperly managed hypothyroidism can increase the rate of brain degeneration or lead to brain issues, but not necessarily HE. Hi colleagues, how is all, and what you desire to say regarding this article, in my view its truly remarkable in favor of me. hi im sleeping late in night like 2 or 3 o clock and wake up in morning 11 and then i eat around 12.30 and then i eat one chapati and in afternoon like 4 o clock one cup black coffe then i go to gym and i workout for one and half hour and im burining almosy 370 clories and after gym after one and half hour im eating watermellon and sometime veg soup and in night im eating one chapati and one plate of salad is my food is normal or im eating more coz recently i started the gym and i have tharoid problem also before i was not eating much and i feel lazy sleepy but when i joined the gym i feel fit and what im eating i have mentioend plz tell me im eating ryt ?? I have Hashimoto disease. Although for years I have been on a thyroid medication it became worse and now I have Hashimoto disease. My hair has been falling out for months. Help!! I have scalp showing. What supplements can I use!!! Linda; If your hair is falling out due to Hashimoto’s, the fix isn’t about taking a supplement. You need to see a functional medicine practitioner who can do the proper labs and integrative treatment to help you modulate the autoimmune ‘fire’ that is attacking your body. What exactly is a functional medicine practitioner and how would we find one in our local area? I’m 34 and my hair loss is significant in the last 3 months. Hi Susan. I’m suffering from hair Lisa with Hashimoto’s and it would be really helpful to know more specifics on how to modulate the autoimmune ‘fire’ that is attacking your body. Can you please share how this is done specifically? *suffering from hair loss, rather. I have autoimmune disease.. That include nodules and goiter. Endro says my TSH, T4 & T3 levels are fine and everything but i feel terrible.I have trouble waking up and i have trouble going to bed, just feel tired and depressed. Basically my doctor says I’m going to have Hashimoto in the future, so they really aren’t doing anything now for me besides having me come in once a year. My hair is falling out and is thinning out along the sides and crown area and the texture is coarse. I need a doctor who will listen to me.. I’m located in Los Angeles.. Anyone have referrals/suggestions? Luca84; You might contact someone from the practitioner locator page: (http://thyroidbook.com/practitioner-locator/); some of those practitioners will practice remotely. Also, if you go on the facebook group called Hashimoto’s 411, someone local might be able to refer you to someone. Good luck! Negative. Trust your endocrinologist. If you have other concerns, schedule an appointment with your primary care provider to address any other medical issues. Since you’re concerned about depression, make an appointment with a psychiatrist, too. Depression could absolutely be contributing to your symptoms of fatigue, etc., and should be managed by an actual doctor, not some quack chiropractor or any of his colleagues. I just read a transcript of an interview with Dr. K. Everything makes complete sense – like that old Aretha Franklin song – he was singing my life with his words! I have been diagnosed with Hashi and the endo told me that I have it and there’s nothing that can be done, so I should not bother her anymore. She said she had patients with more serious issues such as cancer, and doesn’t have time for me. (Can you believe that?? Yes, that’s exactly how she said it!) So, like so many Hashi people, I’m doing my own research. I have a couple of questions though, if anyone can shed some light here.1. Does going dairy free mean no eggs also? 2 Does no sugar include honey and maple syrup? (Based on Dr. K’s info, I also have high blood sugar.) I have some recipes that call for a spoonful of honey, etc to be added to a large batch – it’s not like I’m pouring it on my food. Any help? Thanks! Ocean Air; Dairy free means no milk products. Dr. K also recommends going egg free, as eggs are a common allergen and sensitivity food. He discourages any added sugars, and any fruit before lunch, if one has low blood sugar issues. Whether or not you can handle the honey in your recipe would depend on your body. Haha! You’re nuts. Diet has EVERYTHING to do with Hashimoto’s. It’s an autoimmune disease. Inflammations stems from the gut which equals DIET. Do some reading before you make such ridiculous comments. Hi, I was curious what person would do better on GTA Forte supplement instead of medication? Could a person switch to this after being on medication? I heard it was like armour thyroid. Does Dr. K recommend supplements like this? Bernadette; Dr. Kharrazian uses a similar product called Thyro-CNV, but like the GTA-Forte, it’s not a substitute for hormone replacement such as Armour. Armour is standardized with how much T3/T4. The GTA-Forte is a combination of mineral, botanical, and glandular factors meant to support thyroid function. I hear some borderline thyroid patients can do okay on such supplements, but only one’s practitioner could determine if it will do, or if hormone replacement is needed. Some bodies can’t convert enough T3 for the body to use, and no amount of thyroid support (versus actual hormone replacement) will do the trick. D.Seebe; What you report is very common for people who begin the autoimmune protocol (aka: AIP, autoimmune paleo, etc.). For many, that sense of feeling weak is actually the body’s way of saying it needs more protein and healthy fat. We tend to go for carbs, because that’s the m.o. we used before AIP. If you go back on it, try upping your protein intake to at least 1-1.5g per kg body weight. It may seem like a lot, but your body will likely love it. And get PLENTY of healthy fats, such as coconut oil, olive oil, and grass-fed meats, and cold water fish. It’s okay to up the carbs too; plantain, sweet potato, yams, squash. The paleo crowd has a love affair with low carb, but it’s definitely NOT for everyone. Also – if you are consuming a lot of fruit, it may put your blood sugar off balance, and cause cravings for carbs and weakness from rollercoaster energy levels. Dear Susan – have you ever taken a science course in your life? Stop spouting inaccurate BS! Wauw…. Har kun hÃ¸rt godt om dette produkt, hÃ¥ber man er heldig selv at afprÃ¸ve!! Er ny lÃ¦ser pÃ¥ bleg0on&#823g; Men nyder at lÃ¦se med! Keep up the good work! SC, you need to just go away. My own MEDICAL DOCTOR with numerous degrees told me that she only studied nutrition for ONE WEEK during all of her medical education. Doctors know nothing about nutrition! I had Hashimoto storm in 2005. I almost died. My Thyroid levels were in the 3/4/5,000 range. I was on plasma pherisis to try and lower the levets. Finally that didn’t work very well. I had a thyroidectomy done.There was no thyroid tissue left. Which sometimes the surgeon will leave. I was on synthroid for 11years. My body for some reason started to reject it.My TSH, free t3 and t4 were all very high again. Now I am on Tirosint. Slowly working on the correct dosage. Are there any dietary changes I should know about that would increase or decrease the absorption of the medication? I do take it first thing in the morning about 2 hours before breakfast. Sorry to hear you went through all that. Generally, foods/substances known or suspected to interfere with absorption of thyroid hormone include iron, calcium, caffeine/coffee, antacids, soy products, flax seed, goitrogenic foods (there is debate on this), alcohol, sugar, dietary fiber, walnuts… there are various sources for all this, and the interwebs has lots of reading for more details. Most importantly, make sure you put at least 4 hours between your meds and iron, and avoid calcium near it as well (yes, that might mean no milk in your morning coffee or tea…). Just plan to take iron and calcium-containing supplements in the afternoon. Some research says coffee does not interfere with Tirosint absorption like it does with other forms of thyroid meds: (https://www.verywell.com/tirosint-hypoallergenic-liquid-gelcap-3951537). I’m not clear on whether it’s just coffee that’s off the hook, or caffeine in general (ie: tea etc.). It’s worth looking into. Regarding removal of the thyroid and autoimmunity: Keep in mind that even when the surgeon feels they have gotten clean margins, there is the possibility of molecular levels of thyroid tissue remaining in the body; there is no way to be sure, but if you do experience more autoimmune symptoms over time, this may be why. Either way, the autoimmune condition does not leave your body, so paying attention to symptoms is a life-long job, as many with thyroid AI also have other forms of AI. It sounds like you are on top of all that, and would reach out to your healthcare practitioner if you felt something changed for the worse. The “study” mentioned at the end of the article isn’t a study at all – it’s a case report. This “article” is attempting to generalize, based on one case report of a pt with ‘Hashimoto’s encephalopathy,’ that hashimoto’s reduces brain function. This is entirely pseudoscientific rhetoric, folks. Don’t believe the BS. Don’t buy the book. Anecdote isn’t evidence. SC – what do you have to gain from trolling a site that few people know about? Do you believe that spending 5 minutes with a PCP who has to meet goals of income produced from test and procedures is the best way? Another great article, Dr K.
I am concerned about this medicare, not covering anything. What plan do u have, which state? I know of someone in icu, 10 days..he got no bill, his meds are covered well, his copays are low..I got SSDI and will start medicare in 2 years. Please explain what is happening.. Sounds like you need to look for a new doctor. Nobody deserves to be treated like that. Therer may be someone in your local health insurance system who is trained to treat autoimmunity. It may take some searching, but if they have a search feature with a filter, try using the term “functional medicine” or “integrative medicine”. I found a good func. medicine practitioner that way, using my state’s Medicaid program. Good luck, and don’t give up. Sorry to hear you are suffering so much. Dr. Kharrazian is not able to offer medical advice via the website or email. If you want to inquire about becoming a patient, go to the Clinic page on this website. The application process is rigorous, and he only has time to accept a few patients a year, but it is worth trying. Your case sounds complex, and it would take a qualified functional medicine practitioner working closely with you to help you unwind it. I hear that you have tried numerous angles and seen a few different practitioners, but it seems that they have missed the mark. Don’t give up, though. Sometimes it takes finding the right one before it all falls into place. Just because someone says they are trained in functional medicine does not mean they have the skills you need; FM is a wide field with a variety of training programs, and each practitioner ends up with their own personal bent on how things are done. 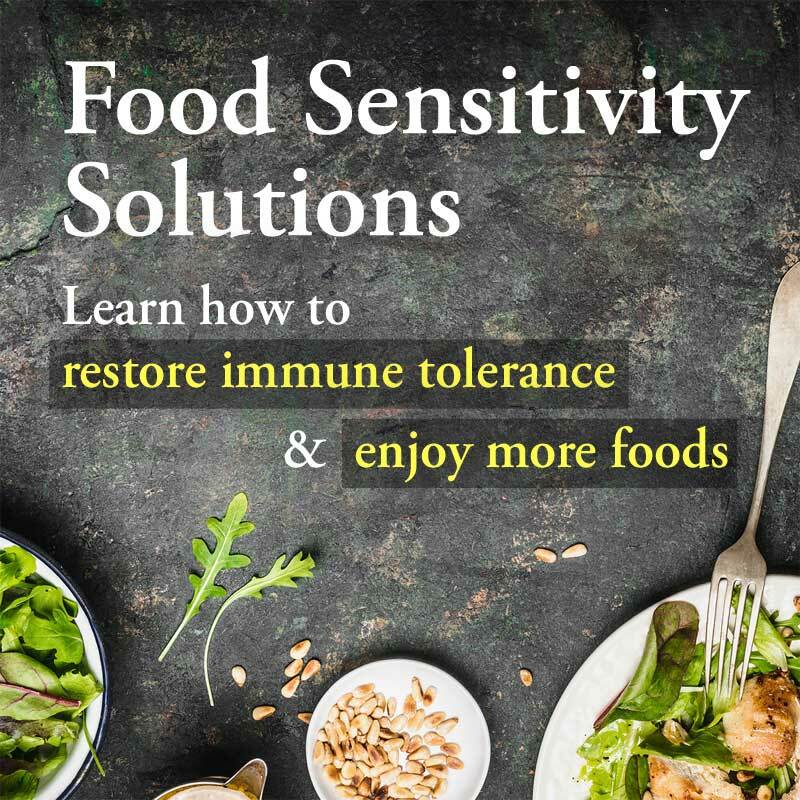 The fact that you have tried various protocols (you mentioned gut healing, HPylori, food sensitivity testing, etc.) doesn’t mean they are not worth trying again. Sometimes there are hidden factors that confuse the outcome, and it takes weeding out the junk to get to the good stuff. 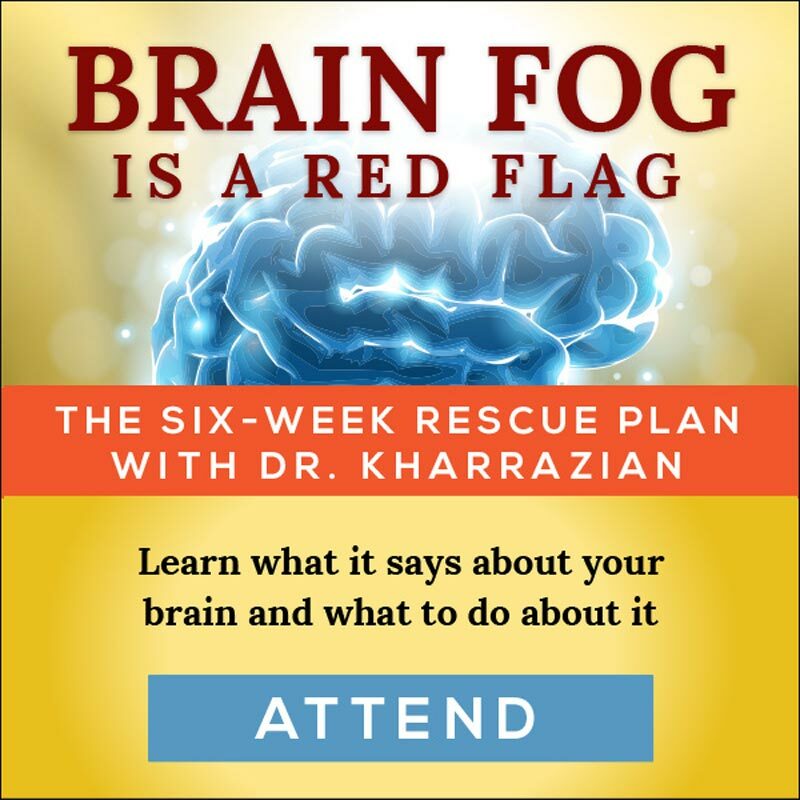 In your shoes, I’d apply to see Dr. Kharrazian, and since he may not be taking patients right now, at the same time I’d contact every one of the practitioners on his referral list http://brainhealthbook.com/find-practitioner/ and see if I could get in with one of them. Some are willing to treat remotely, or have you travel once to see them, then treat remotely after that (Dr. K does that).